Finally, in an offseason of absolutely nothing, the Cubs have at long last done SOMETHING. No, they didn’t add another bat, or find someone to fix their bullpen issue, but they did lock down The Professor for the next five seasons. 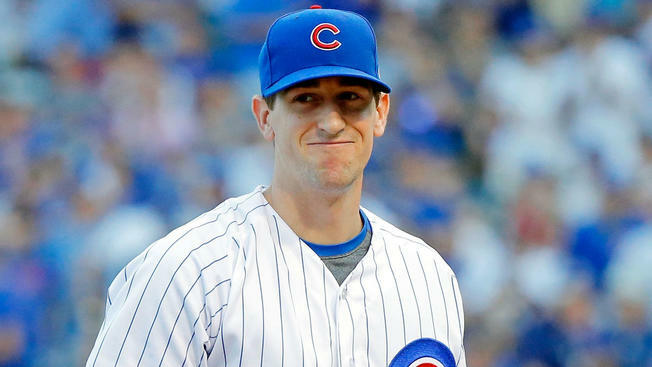 That’s right, Kyle Hendricks has just inked an extension that will pay him $63 million by the end of 2024. God, that’s awesome. Why am I so hyped? I’ll tell you why. Hendricks is a solid, solid, solid arm. The guy has a career 3.07 ERA. That’s better than just about everyone in the bigs, minus Kershaw, Bumgarner, and Sale… So, yeah, he’s got a bit of talent. The thing about Hendricks is that, unlike most dominant pitchers, he doesn’t throw gas. He might rear back and fire an 88 MPH ball in, but he’s not blowing it by hitters. That means he has no fastball to lose as he ages. Think about this, The Professor has accumulated a 7.6 K/9 simply by being able to spot pitches wherever he wants. He doesn’t need to be a power pitcher. Hopefully this is the first of what should be numerous extensions. The core is slowly approaching free agency, and it’d be nice to have the future mapped out as early as possible. Next Why Does It Feel Like A “Make Or Break” Year For The Cubs?